Irish legend and free Irish food! 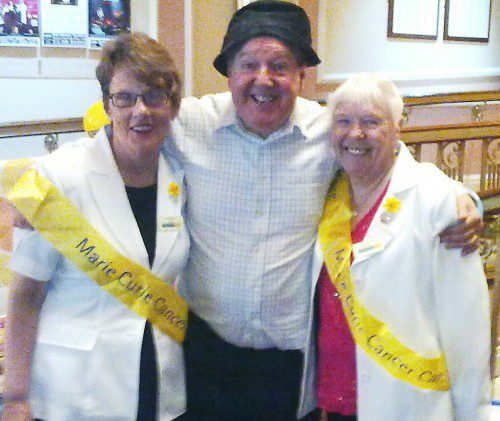 Irish legend Jimmy Cricket was the star act at a recent Gala evening run by the Mansfield and Dukeries Irish Association. 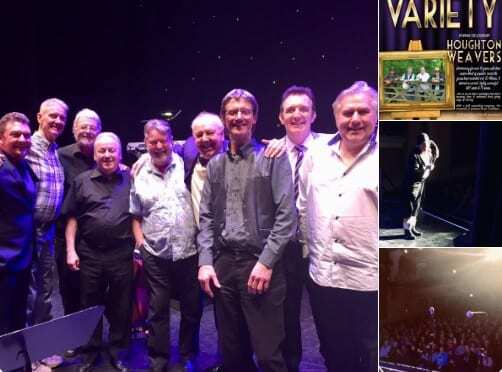 The entertainment was organised by Nigel Scott and his hard-working committee and the compere for the evening was Gerry Molumby. Acts also included guitarist Craig Deller and musical group Acushla. A valuable prize raffle was included together with free Irish food, which warmed up the capacity audience on a bitterly cold April evening. The venue was the popular social club Boothys in central Mansfield. Top – The committee who organised the event with Jimmy. 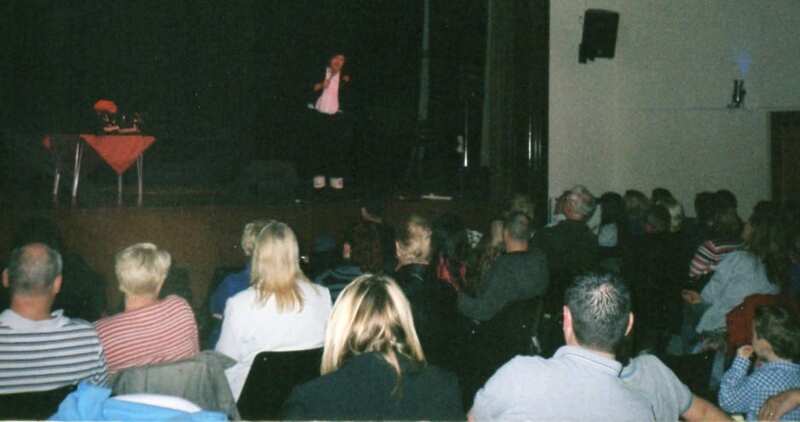 Above right – Gerry Molumby comperes with Jimmy sharing the laughter. Above left – The Scott family from Mansfield with Jimmy. 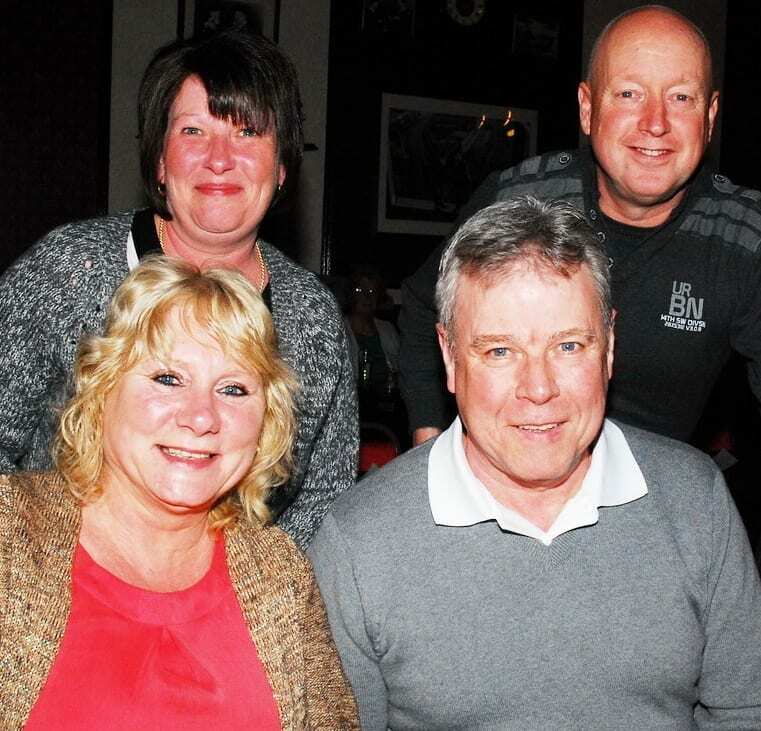 Below – Sue and Gerry Sarson with Julie and Mark Brough. 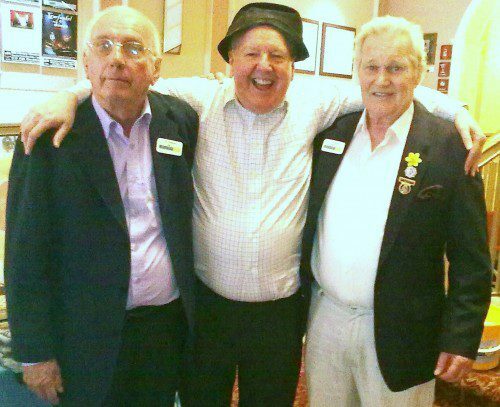 Jimmy Cricket has been described as “Ken Dodd, Tommy Cooper and Les Dawson all rolled into one”. Acushla will provide the music, while one or two local acts may also perform on the night. The show begins at 8pm and tickets are £8, available from Boothys or, if there are any left, on the door on the night. Boothys’ address is 2 West Hill Drive, Mansfield, Nottinghamshire. Postcode is NG18 1PJ and telephone number 01623 623729. 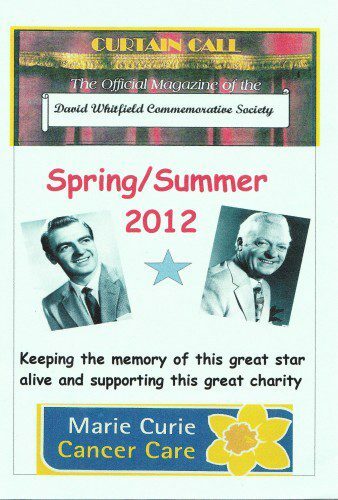 Jimmy Cricket has performed for the David Whitfield Commemorative Society for the second time this year. 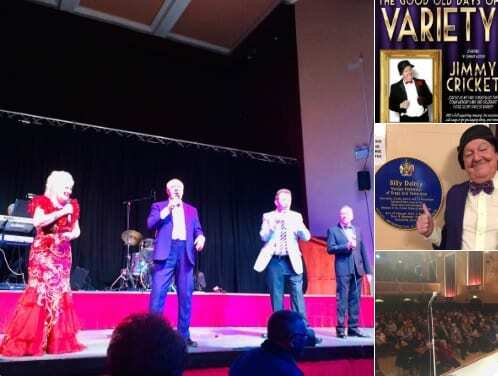 The famous Irish comedian appeared at the Palace Theatre in Mansfield in May and he followed up with another show for the society, formed in memory of 1950s singing star David Whitfield, at the Billingshurst Community & Conference Centre in the town of Billingshurst, West Sussex. The two principal organisers of the society are Jeffrey Kemp and Vernon Brand, who together form JK Productions. 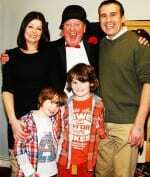 Part of the proceeds from both shows were donated to the Marie Curie Cancer Care appeal. 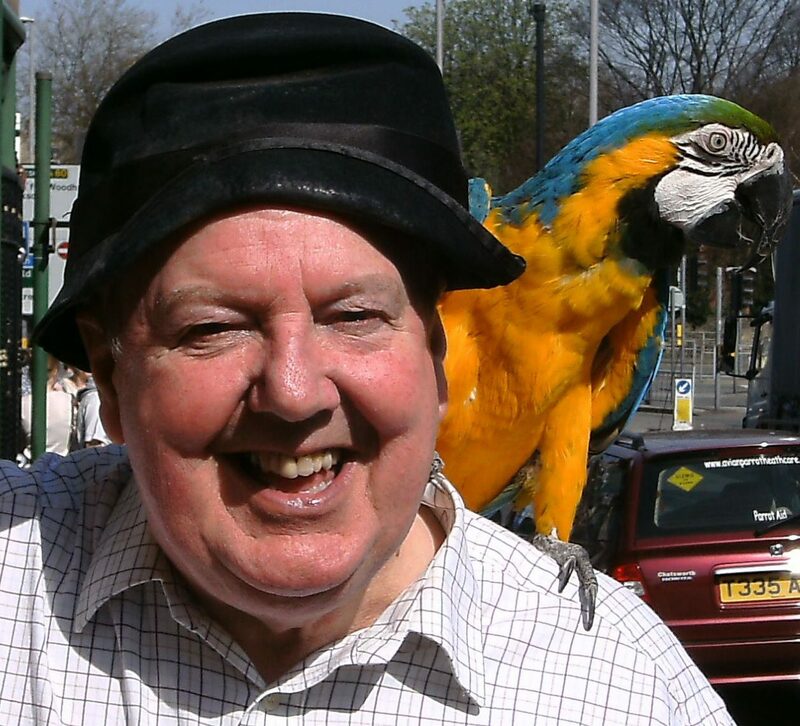 Jimmy Cricket has had thousands of photographs taken of him as an entertainer over the years – but probably not many with a parrot on his shoulder! The famous Irish comedian was asked to pose for a picture with Gizmoo the parrot as part of an idea to raise money for a special charitable cause. Moments later he went on stage at the Palace Theatre in Mansfield. Photographing Gizmoo with celebrities is a fundraising concept by Jane Beresford – who took the photo above – on behalf of a baby who was seriously ill at birth. Ten-month-old Amelia Rose Sutton was born four weeks premature with severe brain damage after lying on the umbilical cord while in the womb, causing a condition known as Hypoxic Ischemic Encephalopathy (HIE) when the brain does not receive enough oxygen. After spending seven weeks in neonatal intensive care, Amelia was allowed home, but has since been in and out of hospital. She requires 24-hour care, which is currently provided solely by her parents, Adrian Sutton and Louise Toplis, and needs regular physio to help her limbs more freely and assist her posture. Her parents, who live in Derbyshire, have set up the Help Amelia Rose Trust (HART) to raise money for extra physio sessions and a room equipped with sensory lights which will help her quality of life and general development.